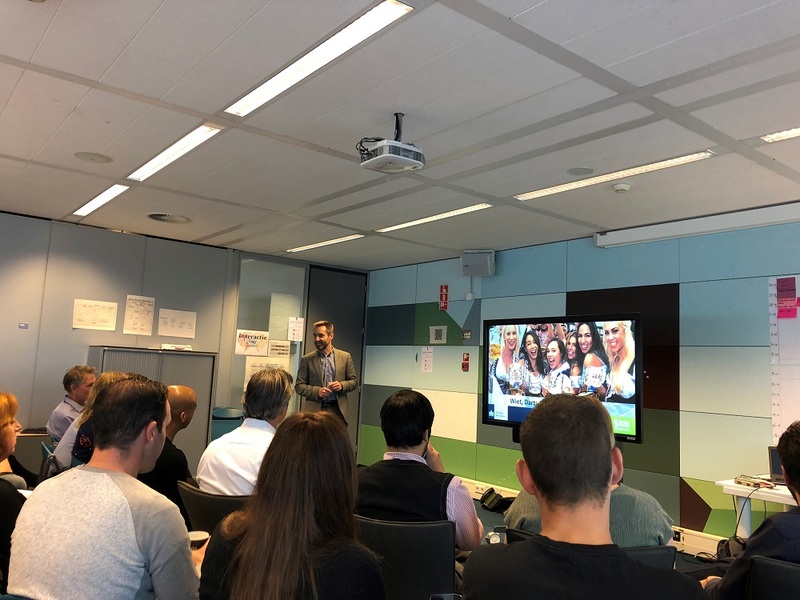 For this edition of the blog series about Dutch data science, I travelled to Utrecht to talk to Rik Raymaekers, coordinator of the data analytics team at the Benefits unit of the Dutch Tax Authority. The Dutch Tax Authority is one of the largest public organisations of the country, with a total staff of around 30,000. Trustworthy, responsible and careful are the three core values of the organisation, which consists of four units: taxes, benefits, border control, and fiscal intelligence and investigation. The benefits unit has offices in Leeuwarden, The Hague and Heerlen, but most of the staff is located in Utrecht. They are responsible for determining, controlling and paying benefits for child care, housing rent, and child-related budgets. In total, we’re talking about 5.1 million affected households comprising 8.2 million individuals, which is about half of the country’s population. This is exactly what makes working here both interesting and worthwhile, according to Rik: "Everything you do has a huge impact on people’s lives. The puzzles that need to be solved are complex, but fortunately there’s a lot of data to support you with these challenges." "Everything you do has a huge impact on people’s lives. The puzzles that need to be solved are complex, but fortunately there’s a lot of data to support you with these challenges." The data analytics team Rik manages consists of 17 people, most of them analysts. The team was founded in 2012 to develop a more proactive way of handling and checking allowance requests. Prior to 2012, the administrative control took place after a tax year was closed. This control now takes place during the year when the tentative allowances are being paid. What makes working at the Dutch Tax Authority extra challenging is the political and social sensitivity of everything that happens there: Any mistake is immediately visible on national TV. Making an allowance request process simple, fast and transparent while trying to prevent fraud requires a careful balancing act of everyone involved. In the triangle of huge volumes, legality and agility, there’s always one of the three under pressure. Last year the unit organised an internal hackathon called “Oktoberfest” to ignite innovation. This was so successful that Oktoberfest was repeated this year as well. During the month of October, many ideas are translated into pilot projects and demos. At the end of the month, there’s a “dragon’s den” where the winners are picked. Last year’s winner, for instance, resulted in a huge reduction in case handling time by reducing the amount of applications and screens to open, and by automatically pre-populating forms. Two other cool solutions from last year are a model that helps in predicting problematic debts and an analysis of preventive interventions, which were caused by incorrect entries by citizens. Both of these solutions are already validated during a pilot and will be implemented in the near future. By far the most impact, though, has been generated by an innovation called “natural dialogue.” Through data-driven interaction, each client gets a personalised approach, which is also self-learning. After all, if four letters have been ignored so far, it’s probably better to call or make a visit. By constantly measuring and evaluating outcomes, the system is still being improved. The initial results of the first pilots have been spectacular: Customer satisfaction was and there was up to 31 percent less client contact afterwards. Rik also explained that they have a six-step innovation process, which starts by determining goals and affected population, followed by data analysis. For step three, assessing client needs, the unit invites customers on-site to participate in a workshop. Step four is the interaction design, and step five is applying the interaction on a significant number of customers. The final step is measuring results. If the innovation is perceived positively (either in terms of lowering costs or increasing client satisfaction), it is implemented. In the last four years, the motto of the unit has changed from “treat everyone as deserved” (2013-2015) to “help people do things right” (2016-now), which is reflected in every innovation coming out of the data analytics team. The Dutch Tax Authority must be reliable and stable, but also agile. Data analysis has an important role to play here. Rik says the Dutch Tax Authority is viewed through a magnifying glass by politicians, society and the press, which makes the work extra challenging. There’s also the constant tension and trade-off between helping versus controlling people. Another challenge is having enough reliable information available on which to base a decision early in the process, the so called “information position.” Another one: Our society is transforming rapidly, and expectations of citizens change with it. The Dutch Tax Authority must be reliable and stable, but also agile. Data analysis has an important role to play here. And last but not least: The team needs to be more diverse, with equal representation of women and minorities, if only to prevent bias in projects and outcomes. Equal cases have to be treated equally: The Dutch Tax Authority has to act fairly and transparently for all citizens. AI can help to increase the speed with which clients are being served. Rik sees both opportunities and challenges. Although AI and ML have great potential, any decision made by an algorithm has to be explainable in a courtroom. Citizens have to be able to understand what an algorithm is doing, as well. Where Rik sees big potential is in automating process tasks: AI can help to increase the speed with which clients are being served. AI can make useful suggestions, e.g., as part of a dialogue with a chatbot. The Dutch Tax Authority has to invest to make this as unbiased as possible. And, most importantly, the goal of applying new technology is to help clients. The real potential of AI is in better customer service, not necessarily stricter control. Jos van Dongen is a consultant, author, speaker and analyst. Jos has been involved in software development, business intelligence (BI) and data warehousing since 1991 and is the (co)author of three highly acclaimed (open source) BI books and numerous magazine articles. Over the past years he has been the lead architect for a wide collection of analytical solutions in a variety of organisations, both profit and non-profit. Jos speaks regularly at national and international conferences about new developments in BI, Analytics and Data Science. After being an independent consultant for over 15 years he joined SAS in May 2013 as a principal consultant. In his current role he advises customers on various topics such as Data Visualization, Data Science, Machine Learning and Internet of Things.